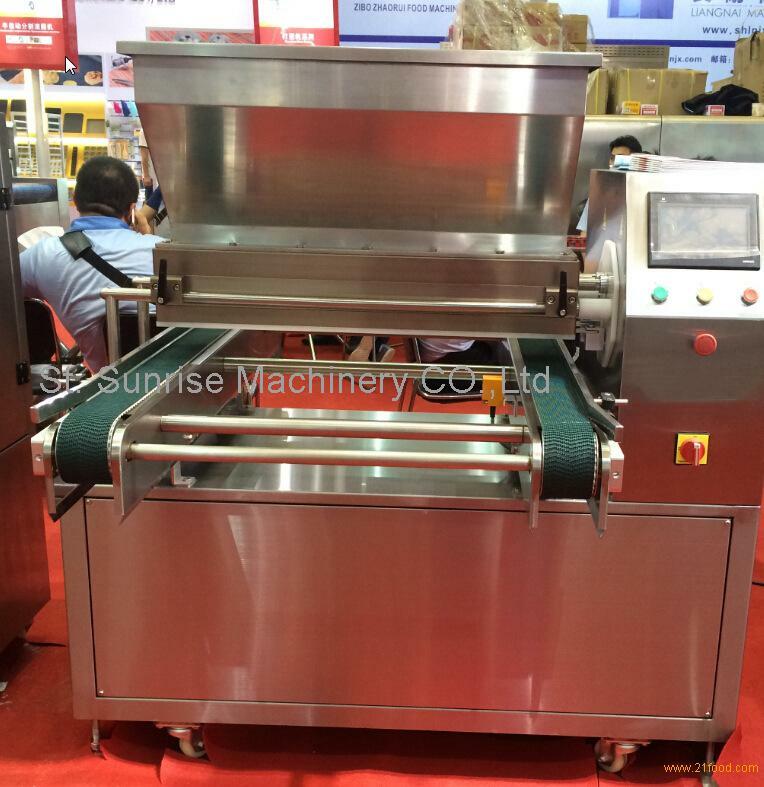 It is a multi-functional cake machine which is developed based on the original equipment in order to meet various demands of different customers. 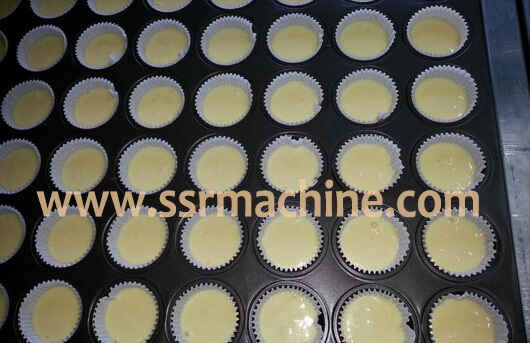 It is for depositing all kinds of cakes, such as Sponge cake, steamed sponge cake and other fluid cakes, and so on. We can produce various shapes by using different molds. 1) Fitted with LCD touch screen, controlled by PLC which can store dozens of recipes. 2) Made of stainless steel and aluminum, convenient for assembly and disassemble, easy to clean. 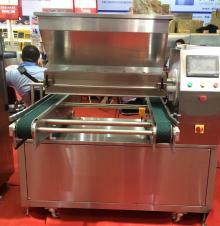 3) Roller controlled by servo to make variety of products by point or moving depositing. 4) Circular can design of roller can control antifoaming performance of batter. 5) Equipped with safety device to prevent accident.